Bruce Wayne isn’t a real person anymore. He was, for a few short months. In that time, the man orphaned by crime was someone who laughed, loved and let people in. But now, he’s gone back to just being a daytime mask for the Batman to wear. Wave goodbye to the Bruce-beard, everybody. One of the most intriguing Batman storylines in recent years is reaching its crescendo now, cycling around to the moment when Bruce Wayne dons his pointy-eared mask again. The road to that Bat-inevitability has been studded with poignant moments, mostly centered around the improbably happy life Bruce fell into after coming back to life. 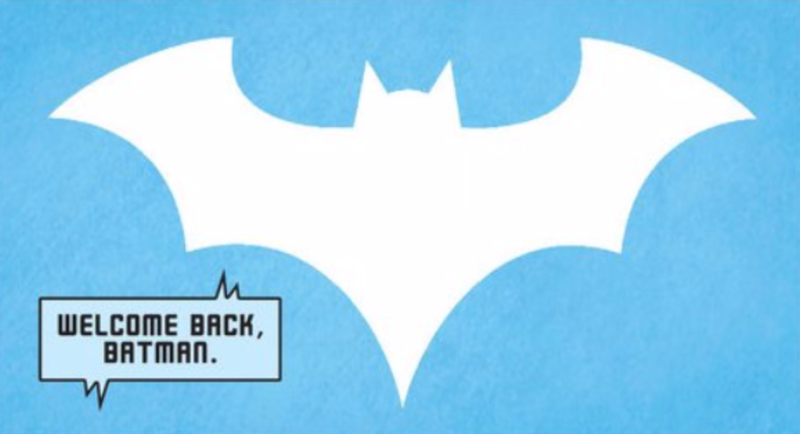 Returning to the world of the living with no memory of ever being Batman, Bruce fell in love and started helping Gotham’s neediest from the ground up. His city had a new Dark Knight, and it looked like he’d never have go down to the Batcave ever again. Is Alfred Pennyworth gonna have to choke a Bruce?! At least, that’s what Alfred was hoping. Sorry, faithful Pennyworth, it has to happen. Two weeks ago, Bruce Wayne resisted the call of duty, angry at the sacrifice that he’d have to make to become Gotham’s superhero protector again. This week in Batman #49—written by Scott Snyder with art by Yannick Paquette, Nathan Fairbairn and Steve Wands—Alfred flat-out refuses to help Bruce get the memories of his old self back into his brain. This issue throws a trippy curveball at readers, cutting early on to a Bruce Wayne strutting around in the sunshine and preparing to take on a major threat to Gotham. Bruce is the mayor of Gotham in this section and commands a huge infrastructure to help him fulfill his destiny. The identity of one of his helpers is rather surprising. The panels above are from a dream sequence. (Well, a nightmare sequence, really.) They’re what’s happening in Bruce’s brain as he tries to re-implant the skills and sensibilities of the Batman he used to be, using a machine first shown seven months ago. In a desperate bid to stop his surrogate son from eternally risking his life night after night, Alfred destroyed that machine. Bruce isn’t going to let a little thing like that stop him. Re-installing Bruce’s Bat-brain means that he essentially has to come to the brink of death dozens of times, and readers get tantalizing glimpses of a frantic fistful of lifetimes. It’s a bit of metaphor writ large, but it isn’t just Bruce Wayne dying once-—it’s him dying over and over again. In the end, Alfred isn’t the one who hits the switch that kills this Bruce Wayne for good. He can’t be. This is the happiest he’s ever seen Thomas and Martha Wayne’s son, and he cannot bring himself to be the person who ends this stretch of angst-free fulfillment. Someone else does, though. DC Comics needs Bruce Wayne to be Batman, and, despite a cruel dialogue tease in this issue, they seem to have decided that he can’t be a happy Dark Knight.